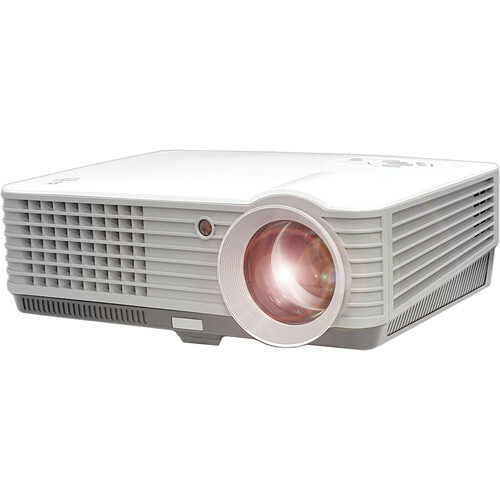 The Pyle Pro PRJD901 VGA Widescreen LED Projector delivers 2200 lumens of brightness with a sharp 1000:1 contrast ratio and 640 x 480 native VGA resolution. It also supports resolution rescaling up to Full HD 1080p. The projector features an LCD panel display source and an LED lighting source that lasts for up to 50,000 hours. For connectivity the projector is equipped with dual HDMI inputs, a VGA input, a component video input and more. The projector also has a built-in USB flash drive reader that supports playback of multiple file formats. It features built-in stereo speakers and a stereo L/R RCA audio output as well. This model will display up to a 140" diagonal image and it provides NTSC, PAL and SECAM compatibility. Box Dimensions (LxWxH) 16.3 x 14.1 x 8.1"